The United Arc is pleased to share Francis' story. The possibilities are endless when you achieve with us. 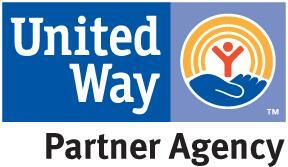 The United Arc provides advocacy and support services for individuals with intellectual and developmental disabilities and their families in Western Massachusetts. We advocate for an inclusive society by building relationships with our elected officials and our wider community, and encouraging our members to do the same. The United Arc is an affiliated chapter of The Arc of Massachusetts and The Arc of the United States. The United Arc recognizes that people with intellectual and developmental disabilities are defined by their own strengths, abilities and inherent value, not by their disability. The United Arc provides a flexible array of services for families that care for or include a family member with intellectual and developmental disabilities. The Positive Parenting Resource Center provides services and support families headed by parents with cognitive challenges, intellectual limitations or learning disabilities. The United Arc sponsors two self-advocacy groups which offer peer support, leadership development, social events and learning opportunities for adults with developmental disabilities.